As for me, it is the better step to accept payments, market services and, of course, the better way to hold our clients. It is a real pleasure to work with the most flexible payments platform. My company would like to have a faster process of payment acceptance. At least, it is will help me to save my time. Generally, the platform is working well and doesn't make any bad issue to my business. It was a few situations when we receive payments with some delay, but it is within the permissible. I would like to say that PaySimple it is great software which will help you to have the most flexible payment system. I guess this is better for growth. With this solution your business will work better. We are proud that our business based on confide. We like to give flexible payment needs to our customers and trying to make our clients be more successful with this payment solution. PaySimple is the good ability to run our business. "Simple platform for the basic things you need with invoices and payments"
PaySimple have a few features that are lacking such as being able to easily locate billing statements from PaySimple and the processing companies. I found throughout the PaySimple process, I had to reach out to customer services via contact form several times for items that should be located on the website under account settings. Not related specifically to PaySimple, but processing times can be very lengthy and inaccurate. An ACH processing time before settlement usually takes 4-5 business days. However, the date listed in the transaction history for settlement of funds usually don't happen on that day, rather the day after. Consider the need for PaySimple for options other than collecting payments. If you want to collect payments, consider more modern options such as PayPal or Venmo. We use PaySimple to process ACH transactions with our customers. We send an invoice and receive payments later. This helped the business eliminate the need of paper checks being mailed and processed by our customers.The benefits of having PaySimple is having thing simplified and easy for customers to make payments and allow us to collect information and store it in PaySimple easy platform. Simple payment procedure. Everything is very transparent and the client needs nothing to be afraid of. There are no additional checks for the client. A good mobile application. A very flexible system of payments, it can be integrated into any of your platforms. Convenient export of reports. Not clear payment for service. There are additional commissions that have not been announced anywhere. Very long payments to the main account. Bad work of support which only asks to wait. If you do not have a big business and there are customers who do not have cards, you should try PaySimple. Involve customers who do not have a debit or credit card. We can better control the payments of our customers. I make payment reports and can export them to the format I need. PaySimple is very simple to use and every time you call for help the customer service reps are very knowledgable, friendly and efficient. There really isn't anything that i dislike about PaySimple. I guess if I had to say something it would be that if a customer messes up on their account number it takes about 4-5 days to know that the payment didn't go through and usually doesn't provide a reason. I don't know if this is something that could be changed, but it is slightly inconvenient. It's a great business solution, especially for small businesses that are just beginning to accept payments online. I can now allow my customers to make payments online and I don't have to worry about collecting checks anymore. It was very simple to set up an online store and is very user friendly. PaySimple has made paying very simple for my customers. I can now accept monthly payments as well with a recurring billing schedule. "A Great Tool For ACH Payments"
Their Support is very responsive and helpful. Any time that I have had trouble understanding an email I received from Pay Simple or how to update something on an invoice, I have used the chat feature. The agents are quick and provide great step by step instructions to assist. If they did not have a solution, they assured me it would be submitted as a request to development or let me know when it would be coming. I love the ease of initially beginning/charging a payment (either one time or recurring). It is not time-consuming and is very straight forward which is helpful when entering multiple new payments a day. Everything I need to enter a new payment is directly on the home screen and easy to find. I appreciate the clean layout of the homepage. The customer management user interface beyond the initial transaction is not the most user-friendly. It is difficult to navigate a change like updating a bank account to a recurring transaction. Additionally, there is currently not a way to merge contacts - so, if you have one client with multiple services that you are charging for, it creates them as a new contact for each one. It's a great product that gets the job done. While some aspects may be a little confusing to navigate when making changes, their Customer Support really brings everything together. They are very quick to respond, so if you are left wondering how to accomplish something within the portal, you aren't left wondering for long. We offer a multitude of services and subscriptions to our client base. Recurring credit card transactions are not always the best payment option for a client as credit cards can expire, get lost, stolen, etc. and can require a lot of administrative work to contact the customer to gather new credit card information, recharge the declined transaction, and update all of their information for the different services they are charged for. Using ACH to charge for our services and subscriptions is an option that our customers really appreciate. It is easy for them to access and provide and they do not have to worry about keeping up with it like they would a credit card. "Streamlined, easy to use, credit card processing platform"
I like that the amounts received are used as data to graph how much is collected per day/month/quarter, etc. I don't like that when I go to collect new payment, and I start typing in the customer name, that it doesn't show the full name until you select it. There are some customers that we have here that either have the same name, or same name with a different location tagged on the end of it, so it can be time consuming to click on the wrong one until it's the correct customer. With Paysimple, we are able to set clients up with recurring billing so that they do not have to call in/send a check when they have an amount due for their monthly services. "Reliable service, but difficult to ramp up with"
The software interface and reliability of the software and service have been excellent. They offer a robust testing environment that our programmers found easy to work with, dramatically reducing our time to launch. PaySimple and their ACH processor set limits for how much we can process with them each day and month. We must apply for increases as we approach these limits, and that can take a week or more. This has led to disruptions as business ramps up faster than the approval process. You should definitely consider PaySimple, and use the programming toolkit and sandbox to see how well it will work in your programming and/or payment environment. Just keep an eye on the limits and how they can affect the go-live experience for you and your customers. Customers love the ease of use, and our staff enjoy working with the reporting tools, which are very detailed while remaining easy to use. The labor savings over paper check processing are substantial. "Ease of use and scalability rolled into one package"
It's extremely easy and flexible to use. Some of my clients like paying via invoices. I like that I can satisfy that need and easily set up recurring payments and one time charges. Cost. the per month cost and % fees are not as competitive as I'd like. I think one or the other could be a little lower. Also the PCI compliance process was not clear. I had already tried to jump thru the hoops with the service provided but then after speaking to your tech support realized I didn't need to do that for my biz, yet I still get weekly or monthly emails from them about completing PCI. I also dislike that it so difficult to cancel a $3/mo ACH fee (turned out I didnt need it after all) and now the price has increased. I also don't find the scheduling features robust enough. Check out calendly.com for some ideas on how you can improve that part of your product. It's an excellent solution for billing - recurring and invoicing. It's simple to use for myself and my clients. PS is my main system for collecting payments. Before that I used PayPal and love the ease of use especially for my customers who pay via invoice. I have recently begun using the store features and hope to streamline client payments even more so in the future. I like how accounting software works. really so cool.I see how with easy step my company is grow. Its very flexible, and gives easy way to understand and it's so easy in use. This software platform does not have any bad points.They are so great in support service. Very clear so you will find a lot of answers for your questions. I highly recommend to you. It's wonderful accounting service. Will help you in your company or small business. And don't be worry about how to use. Very useful and smart. You know its much better than I thought and this platform helps me run my company so good.I was worry about can i hendle it alone.But when I start use i understan that i have everything around me. I like that it is fairly simple to handle ACH and CC clients in the same program. As long as there are no changes to the schedules, its fairly smooth sailing. I started from scratch and now have about 200 active customers, on pay simple. 1.) Customer service is available only during limited hours. I often have important questions before 10am or evenings or weekends, and they are closed... 2._ Common things like changing a customers billing/invoice date or amount are extremely confusing and you generally have to start from scratch everytime. Changing where the invoice/receipt gets sent are extremely confusing to navigate. 3. )When setting up an account, there is no space to put a clients phone number extension.. 4.) I was told at a certain benchmark I would be entitled to reduced billing fees. Now that I have qualified, I have inquired about this before and am getting the runaround for months. That is a bait and switch and I feel slighted. 5.) The fees are numerous and tough to understand. Ive done the math and when its al said and done, I'm paying 4%+ on my total CC/DB transactions..(even though the majority of my clients use VISA). There are many other monthly fees, costs, charges, and it adds up to a lot.
. Ive complained about these things before and I get a canned response that its in the works. Of course nothing ever changes. I have no other choice but to start comparing options. "An Important Part of My Business"
I like that it combines the features of a merchant account with an invoicing service. I can use a single service (outside of my accounting software) to handle all of my billing and payments. The user interface is not the most intuitive. They have been making updates and as they roll out the user experience is improving. My biggest need is for an easy way to do recurring invoices and collect payments from those invoices. I have a service with yearly renewal that would be very difficult to track and invoice manually each year. (The renewal dates are unique to the customer.) PaySimple's recurring invoice feature works perfectly for this need and ensures we stay up to date with customer's we may only talk to once a year. "Excellent Customer Service and Helpful Tools"
I'd recommend expansion into the ability to send payments via ACH to vendors. I'd also recommend an integration with Quickbooks Desktop. I've been able to get many of my customers using ACH instead of paper checks, which saves me time. "By far the best Merchant Processing Gateway I've ever had the pleasure of using!!!!" The home screen dashboard is extremely well thought out. - Failed Transactions, Settlement Summary, Recurring payment schedules all graphed for a quick view of your month. WIth regard to the report summaries on the dashboard, my only complaint is that I can't easily switch to a more historical view. That said, there is a robust reporting engine that will allow me to do that but without the fun graphs. If you want a payment solution that is user friendly and always working to improve the user experience, PaySimple is the way to go. Paysimple has allowed us to much more efficiently manage our client's payment structures. It is easy to change a payment days and make alterations to payment schedules as needed. We have been able to link our credit card processing to our website and our custom POS with no problems freeing up our time for other things in our business. "Very easy to set up automatic monthly payments from clients "
It was very easy to set up memorized monthly payments from clients - PaySimple sends a very professional email confirming the transaction to the client - I actually have had a client compliment the tone of the email. We are a professional organization and it is important to us that any client interaction with a vendor is professional - PaySimple has always had a high level. Easy to offer reoccurring credit card payments - we created a product line where the payments could be monthly and payments were automatically pulled - this then made it not such a burden to offer monthly payments because we did not have to send out our own invoice and add to our accounting work - the payments just come to us and we can then tie off the payment to a memorized invoice in Quickbooks. "Opened up a new market for us"
PaySimple is allowing us to reach a new market of younger more payment conscious players to our Golf Club. In the past, members simply paid an annual fee for dues, no questions or issues. But in today's economy, an option for a monthly payment is very attractive. PaySimple allows us to offer that option. We simply price the monthly installment at a slightly higher rate than what our annual payment is to cover the costs of using the system, and those who are utilizing this have no qualms about paying a little bit more for the convenience of having a monthly payment option. It's still a tremendous bargain compared to other Golf Club Memberships in our area, and the bookkeeping is very user-friendly. Only issue for us is that our deposit is a lump sum, and we go into the invoices each month to see who's payment is included in that lump sum. Just one extra step, but not really an issue at all. Worth your time to look into this program. We have three members in the younger generation that we would probably not have if we weren't able to offer a convenience monthly installment payment method. I love working with a company that actually helps you and cares about you! From our account manager to the chat help, everyone is always so helpful and nice. Working with a company that is continuing to grow and work to get everything that their customers want, is a phenomenal experience because you get to have a say in how certain aspects are developed. That can also be frustrating that as a company you have to maneuver your processes to meet where PaySimple is now. It is so important to ask questions and to be patient. You account manager will do everything that they possibly can in order to help you, don't take that for granted. It doesn't exist very much anymore! PaySimple has been so helpful in working with our in house development team to create a customer portal that uses their PaySimple API. I like the ease of access and ability to have different staff accounts within the system. It is great to be able to keep bank and card information on file for both the business and the client. The processing fees tend to be higher than most credit card processors I have used in the past and it has a fee to keep a customer card on file. They are progressing all the time! New features will continue to unlock and that is always great! I am saving time with my business by being able to keep all customer information in one place. "A Company with a heart"
I like how a person contacts you and is willing to hear what you would like from them. They want to make sure you are getting the full use and advantage of PaySimple. There is nothing that I do not dislike at the moment. Be willing to talk with them and if you are local to meet with them. They are personable, and if a company doesn't like that they should become that. We have business outside of the U.S. and they now offer the ability for those outside of the U.S. to make payments. And that has really helped us. I have used Paysimple for over 1 1/2 years. My main reason to for using this service is for the automatic monthly payments option. It makes it very easy to collect payment from my regular customers without having to stop everything else I'm doing to swipe their card. I have no complaints at this point. I haven't really taken the time to learn the new payment system offered by Paysimple...I mainly use the classic version. I currently do not have staff, so paysimple allows me to minimize the time required to collect payment. "Getting payments on time is amazing. " First off, I love that I get my payments on time. I love that I don't have to use a phone, or some other device to run square. I love that I don't have to keep a calendar of payments and that I don't have to remember anyone's payments. I also don't have to keep their credit card numbers, which minimizes chances of problems with losing someone's card number. It's hard to do simple things, like change the amount of an upcoming debit. It's hard to find out how to change a card and if you add a card and make it default, it doesn't carry over to the already made transactions and as I pointed out earlier, that's hard to fix then. You pretty much have to delete the old card and only have the new one on file. One time, I charged a woman $86,000 for no apparent reason. It just changed her $86 payment into thousands. Luckily, the card stopped it, so we didn't have some kind of epic kerfuffle on our hands. The program is much more useful than it seems like it will be. You will be surprised at how many more payments you get when you have an auto-debit coming out of their bank. We have had a number of clients pay off their accounts because they didn't forget to pay us. We don't have a large enough staff to spend every day doing billing, it's just not reasonable with the number of clients we have. Prior to using PaySimple, we were running each payment on the date it was due. We had a woman complain and indicate that we stole her money because when her payment date fell on a Sunday, I ran it on the Monday. It was disastrous, especially since a law office can't have accusations of illegal activities floating around. PaySimple makes it really easy for us to set up our recurring payment schedule with our Members. We are Chiropractic office that office a Membership Practice. We have our Members set up on an auto-debit (or automatically taken out of their bank account) for their Chiropractic visits. Really easy to set up, and really easy to manage. There are not really any negatives that I have noticed while using PaySimple. The one issue we had early on, was quickly resolved. I do not believe we have had any issues since. There are many great features that you are able to use with PaySimple. Be sure to speak with a Representative of PaySimple. We absolutely love the feature of setting up auto monthly drafts for our Memberships. All the Member's information is safe and secure. Auto-debit for the payments is MUCH smoother. Also, we take all our credit/debit card payments through PaySimple with the use of a USB Card Reader. This takes away the need for another credit card machine - doesn't take up space on the counter, and better fees than our previous Credit Card machine. ACH payment ability. Free-form payment field. Vastly overcharged on Credit Card fees, takes weeks to get back to you with no explanation as to why, just saying to wait it out and hope it will decrease over following months. Significant number of ancillary fees never disclosed on their contract or website, you only find out after you've been charged. Charged me 1+% more in credit card fees than was promised, which is pretty significant when this is their core service. They were never able to provide any answer, no matter how many managers I spoke with, all of them just saying I should wait until more months have passed and I've been ripped off even more. zero benefits, we moved off of them and will never use them again. I like that we are able to sweep from our customer accounts without having to be in person. So much business is conducted via the internet or over the phone. I wish that it was instant verification. It takes a couple days to process. It allows us to reach more customers because not everyone has a debit or credit card they would like to use. We sell more business because we are able to accept checking and savings accounts. Ease of collecting recurring payments. I no longer have to wait for checks in the mail or for the customer to initiate payments. Would like for the product to sync with Quickbooks. Solving the problem of inconsistency of payment collections. We have been able to better regulate our cash flow as we have a set expectation for payment dates. "Well rounded service for processing payments"
PaySimple is truly a one stop shop and offers a well rounded suite of Services in the payment sphere. Their rates are some of the best and they integrate with a host of programs. Due to their whole service approach it seems a bit unwanted to customize your offerings. But for a one Stop this is it. Take advantage of their knowledgeable sales and Support staff. They will onboard you with everything you need. PayMent processing is so involved and fees can add up. PaySimple helps streamline and automate the process at a fraction of the cost. "Secure Alternative to merch gateways"
A very solid focus on solutions to remove friction from the procrss and security. The fluidness of the platform alows you to integrate across almost platform. The lack of white label service is becoming an obstacle. Consumers are becoming fed up with Wells Fargo and other tradutiokal gateways, especially if the illusion od another service is onvolved in the transaction. Braintree is proving powered by is the confidence they want to see. The software allows me to determine what methods of payment I want to accept. Bank draft works perfectly for my business. I like that I can download income to a spreadsheet or a pdf file. There isn't anything I dislike. Over the years, the ease of use has improved and I find it easy to get around within the system. I recommend this software to small business. Once in awhile I have a problem setting a client up the way I want, and the staff are very professional and helpful. Myy partner and I looked for a means to finance our bills for clients. It works great for every day payments or invoicing. The recurring payment feature is very useful too. It doesn't sync to our CRM software. It would be easier if the customer profiles synced with our sales software. Great for one time or recurring payments. That they are always available to me the small business owner. Doesn't matter how big the issue is they readily get it done. Really haven't found any in over 10 years now. They weren't my first but have been the last. Love being able to look customers up reuse their cards. I run a midwifery supply business and many of my customers are busy friends and will just send a text, email or Facebook messenger with a need and I can readily do it and make an order and bill it out. I like PaySimple for the easy forms that they allow us to build. I dislike PaySimple because it's not as robust as other systems like Square and does not have all those features. It also costs way more than them. 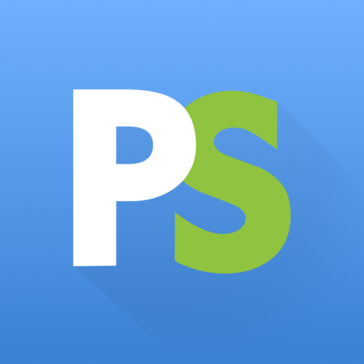 I use PaySimple to send invoices and to process credit cards. "Great payment software for "pay what you want" businesses!" I like that the PaySimple software lets customers enter their price for items. I like the simplicity of the software, and the ability to create individual payment forms for each item. PaySimple also has wonderful customer service! Once, my account was deactivated accidentally because of a bug in their system, but they fixed it quickly and were very kind about the ordeal. Their automated emails are a bit dis-organized - I get emails talking about a problem that has already been resolved. Also, the mobile payment forms need a little work - pages load at the bottom on all mobile devices, which is very confusing for customers. Great customer service, and easy to use. I needed a software that would let students enter their own price for our services. "PaySimple - The Greatest ACH software known to manking"
Do not consider it....Just sign up now before you make a mistake with another company. There are some things about Paysimple that are more confusing for new users, such as setting up payment schedules. I also think it would be helpful if you could use a bank account for payments rather than just using credit cards. "Easy Way to Get Paid!" We are able to send our clients a link to make direct ACH payments to us. This makes is very seamless for them AND us. I wish there were lower fees for credit cards. If the charges were lower, we would use PaySimple for these types of payments. Definitely use this product to collect money from your clients! We've saved admin time because we don't need to go to the post office to get our checks from our clients! "Their customer service is the best!" Our account executive, Synthia, is beyond helpful. If ever we have a question or need help navigating the site, she is there to help us through. There isn't much that we are dissatisfied with. There are a couple things we would like to see on the e-commerce side of it, like locked store sites. We can only utilize this sparingly because we do not want to advertise our products and prices to the entire world wide web. Utilize their customer service! It's the best. Using PaySimple, save our administrators time collecting payments. Previously we had to take orders over the phone and worry about CC numbers. Now the client pays via Paysimple, making our filing non-existent, and saving time. Recurring payments is the best feature on PaySimple because you just "set" and "forget." Money flows in later without worrying about billing dates. Waiting periods to setup an ACH account linked to account. recurring payments and ease of use. "Valuable service at a fair price, bad web interface"
Fast and easy. It’s not complicated to use at all. Plus, there are real people you can talk too unlike typical payments processing companies. I don’t have a log into PaySimple but I use it through an API so it’s an indirect use. I wish there more integrations with third party systems such as crms, online form tools etc. Easiest program to use of any I have tried and Very helpful customer service! Only had minor issues. Mainly user error so As of now. Nothing! Convenient, easy to setup recurring billing. nothing this company is a scam. They fraudulently charged me for services I never used or agreed to and have fought refunding me. I am now forced to have my attorney deal with them. This company has been charging me for over a year for a service I never signed up for or authorized this company to charge me a monthly fee for a service I never used. DO NOT USE THIS SERVICE!!! DO NOT USE THIS COMPANY, BEWARE! They fraudulently charge people money not authorized. PaySimple interfaces perfectly with the school software that we use (ZenPlanner) for tracking our school tuition payments. Their fees are very competitive, too! So far we have not come across anything that we dislike about PaySimple. PaySimple easily solved the problem of collecting tuition from our clients that use credit cards. "A Very Robust Merchant Service"
The multiple forms of payments you can collect. Also, the added value of creating a store front. The percentage rates on their credit cards should be lower, and consistently the same for all type cards. By using a payment form by email. I was able to quickly receive a payment. The other benefit that I received is the ability to receive payments by ACH. PaySimple team is proactive in answering account setup and resolving discrepancies in billing with 3rd party vendors. Pay Simple would send 5 emails exactly the same for 1 response to a question. Somewhat redundant maybe software glitch. Pay Simple is handling my invoices and donation processing. The benefits of ease to use and implement on my website. The ability be able to set up recurring payments and to change them if necessary, Another great part is the ability to invoice members and having them pay through the link in the email. Recurring Billing, It's easier than our last company that we used, we can also take one time payments which is a huge plus for me. "Decent experience, helpful customer support"
I like the automated drafts and ability to set up different levels of administrative accounts. The liability. I've had differing information from customer service reps in response to issues. We are saving time by not having to manually draw money out of patients' accounts. It is simplified. We have expanded our in-house payment plans. "Great way to centralize contacts and cc info"
"My experience has been good so far"
It is very simple to learn and the fees are reasonable. Having to wait to get paid! * We monitor all PaySimple reviews to prevent fraudulent reviews and keep review quality high. We do not post reviews by company employees or direct competitors. Validated reviews require the user to submit a screenshot of the product containing their user ID, in order to verify a user is an actual user of the product. Hi there! Are you looking to implement a solution like PaySimple?